Description: I had the great honour of being a special guest New Year's Eve at Titanic The World's Largest Titanic Museum Attraction, Branson Missouri. I signed so many books that I think I was still doing it in my sleep that night. But it was a wonderful experience, thanks to the tremendous staff at the museum and the many patrons who spoke to me after their tour. If you are in Branson, I highly recommend the museum. 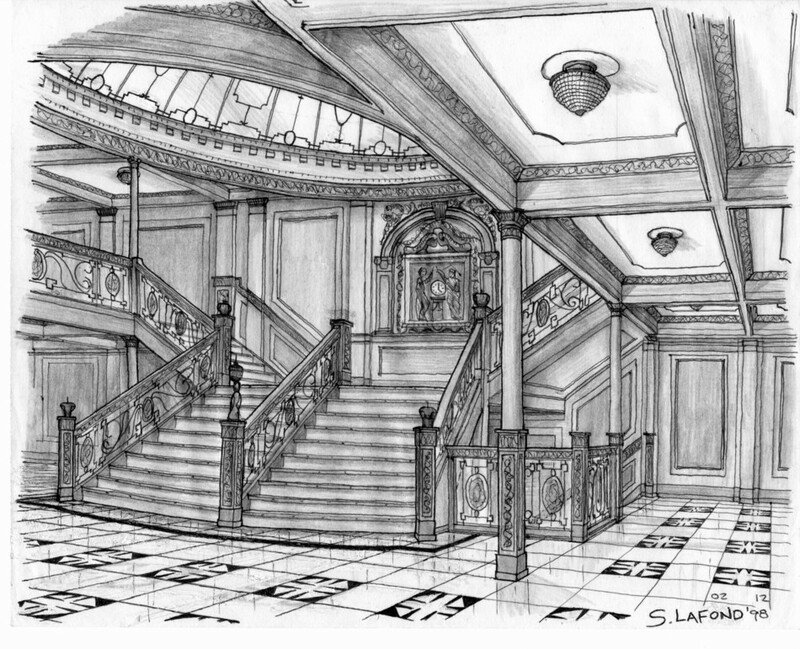 For me, the highlight was the re-creation of the Grand Staircase. I had pictured it so many times while writing Titanic: Relative Fate. To be able to actually stand on the steps was literally breathtaking. This is what makes the museum so magnificent. You get a very real, authentic sense of the ship. From the iceberg, to the sloping decks, and finally to the touch of 28 degree water, the museum also gives a feel for what it must've been like that night. Interspersed with so many mementos, pictures and quotes, Titanic Branson truly is an education and a "tour to remember." Highly recommended! Even if you are not a Titanic fan! Description: Titanic the last twilight by Marko Lulic. Original,oil on canvas 135 x 94 cm. Description: Belfast Mayor was thrilled at a Titanic pre-Rally experience: Lord Mayor of Belfast, Councillor Niall Ó Donnghaile experienced the drive of his life today as the first citizen sped around the newly completed Titanic Super Special Stage in Titanic Quarter, Belfast. This track will form the opening stage of the 2012 Donnelly Group Circuit of Ireland Rally on 6 and 7 April. The Lord Mayor was driven around the purpose built 2km stage by Donagh Kelly, winner of the Group N award of the 2011 Circuit of Ireland. Mr. Donagh Kelly is also known for his role as Group Chairman of KN Network Services, which has 3 offices across Ireland and North Ireland providing Telecom services. Titanic Light Show Lights & Sound testing April 6, the night before the real show. Description: Titanic Rescue ship: The Carpathia.